Here at Byrdie, we don't take brow products lightly. We insist on a perfect color match, easy application, and a flawless finish. That's why we pay attention to trending brands and products. Take Anastasia Beverly Hills, for example. Years ago, before we knew anything about the brand or its amazing products, we heard talk of a new brow pencil that people were raving about. It was easy to use and imparted a completely natural-looking result. That brow pencil turned out to be the legendary ABH Brow Wiz ($21), which has been a permanent fixture in our makeup bags ever since. 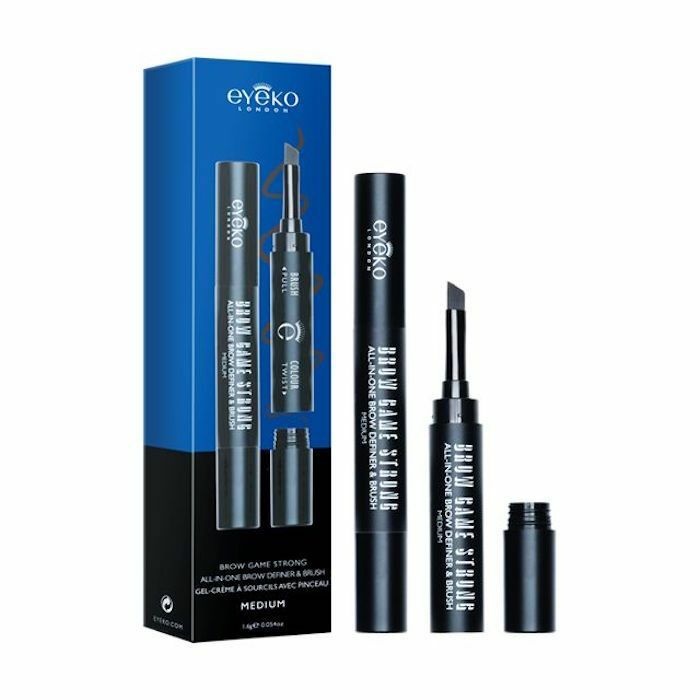 The newest brow product to land on our radar comes from British-based cosmetics brand Eyeko (you know, the cool eye makeup brand that Alexa Chung collaborates with?). According to Look, it has garnered a waiting list of 500 people, and people are obsessed. Keep scrolling to see which product it is and how you can get your hands on it yourself. This brow pen is marketed as an all-in-one product. One side has a super-fine angled brush for naturally mimicking individual brow hairs. On the other side is a long-lasting and creamy brow pomade. Simply pull the pen apart, dip the brush into the product, and apply to any sparse areas on your brow. Just make sure you have the right shade, which is easy considering that there are only two: light and medium. The light is fit for blond and light brunette brows, while the medium shade is a tad darker, for deep brunettes and even black hair. Not only will the result look natural and full à la Cara Delevingne or Brooke Shields, but the pomade itself is formulated with vitamin E, so it nourishes your brows and encourages growth. And let's be honest, if the current fluffy brow trend continues, we could all use a little more natural thickness and definition. The best part is that it's basically made for the on-the-go person. Usually brow powders and pomades are messy, or they carry the risk of breaking open or spilling when tossed into your bag. Plus, you usually need to remember to bring a separate brush for application. This one, though, is much more convenient. Head over to Look to see the full story, and then, watch our editorial director get her eyebrows microbladed.